Get the GPSx file from your GPS logger and then use a converter such as GPSBabel to convert to KML. Or, in the case of MyTracks on Android which is what I use, you can just re-export to KML. Call this gpslog.kml or some such. 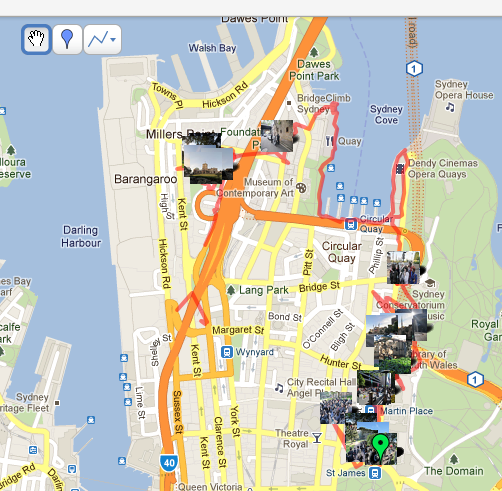 Upload GPS-tagged photos to Picasaweb just like always. Download the file for viewing in Google Earth, except we won't view in Google Earth. 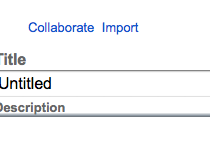 You need to add the .kml to this file. Call it photomap.kml or some such. 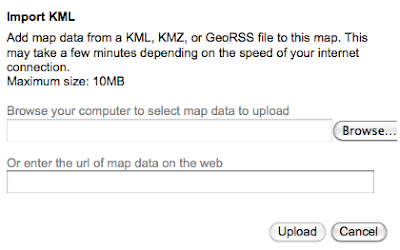 Click "Import" and then upload your KML file from Picasaweb ie photomap.kml. This time upload the GPS track from your logger ie gpslog.kml. 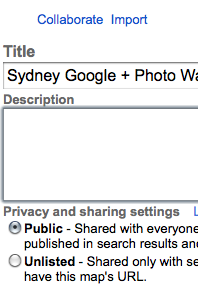 Click "done" and set sharing options. 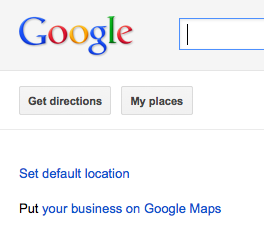 I have often felt that google maps, contacts and picasa should have better integration. There should be a "my contacts" overlay in gmaps as well as "my photos". Some of this is possible as you have found but needs manual intervention. PS whatever happened to "panoramio"? Agree it would be better if, say, Picasa desktop app handled it. Doesn't seem that hard to apply a GPX file from MyTracks or even one you uploaded to MyPlaces direct from MyTracks. Currently (14th Nov, 2011), the 'view map' button loads an empty screen in picasa web albums. Using the ideas here at least gives me a full screen map at last! Interestingly I can see others who are getting the same blank screen from the 'view map' button but cannot see an official response. It's especially odd since the minimap works fine, the images locations show perfectly in the miniature google maps, just not the full screen. Just the help I needed. Thank you. Now to the next problem. How does one see the full picture? Whenever I click on a picture I have added, a pop-up box appears with a partial view of the picture. 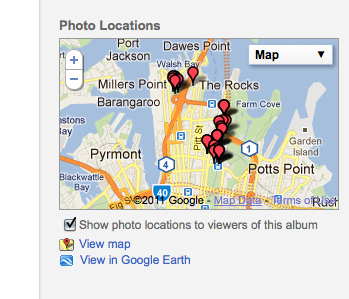 Also, I now have other pics added by google that I don't want on my map.